Wine Fends Off Bacteria That Causes Cavities? Evidence suggests that sipping wine may be good for your colon and heart, possibly because of the beverage&apos;s abundant and structurally diverse polyphenols. Now researchers report in ACS&apos; Journal of Agricultural and Food Chemistry that wine polyphenols might also be good for your oral health. 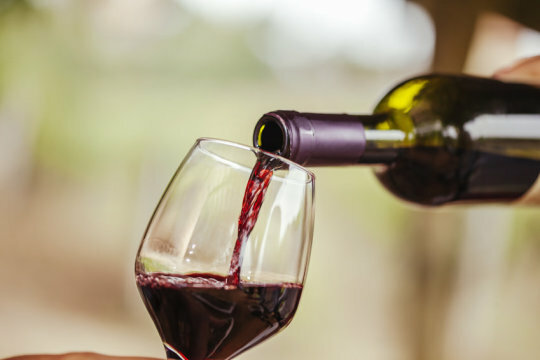 The researchers checked out the effect of two red wine polyphenols, as well as commercially available grape seed and red wine extracts, on bacteria that stick to teeth and gums and cause dental plaque, cavities and periodontal disease. Working with cells that model gum tissue, they found that the two wine polyphenols in isolation -- caffeic and p-coumaric acids -- were generally better than the total wine extracts at cutting back on the bacteria&apos;s ability to stick to the cells. When combined with the Streptococcus dentisani, which is believed to be an oral probiotic, the polyphenols were even better at fending off the pathogenic bacteria. The researchers also showed that metabolites formed when digestion of the polyphenols begins in the mouth might be responsible for some of these effects.